One of the most important parts of being an enterprise technology leader- whether CEO, CTO/CIO, or VP of tech- is keeping an eye on emerging trends. Technology moves fast, and that’s doubly true in an active field like mobile app development. Knowing what features are gaining traction and which were just a passing fad can save a company hundreds of thousands in failed development projects. With that in mind, here are 5 of the most promising mobile app development trends of 2017. Enterprise apps have proven their worth. Adobe found that the average investment in mobile enterprise apps provides an average ROI of 35%. Nearly three quarters of companies have built or updated mobile enterprise apps this year, up from 61% in 2016. Apps are being used internally to collect maintenance data, streamline team projects, and even manage restaurant waitlists. In fact, the demand for mobile enterprise apps in 2017 is expected to grow at least five times faster than internal IT departments can deliver. 73% of consumers say that regularly getting useful information from advertisers is the most useful tool when selecting brands. The key word is “useful”: people want short, timely notes that are relevant to their interests. Push notifications meet this need, letting companies reach out to their customers without waiting for them to open an app. The trend is noticeably more popular among Android users. They’re twice as likely to open a push notification than Apple users (and twice as likely to opt into them in the first place). The Hewlett Packard Enterprise Mobile Application Security Report surveyed over 35,000 apps and found that over 96% failed at least one privacy test in 2016. That’s changing fast; this year, security technologies like SSL, HTTPS, and advanced encryption are being incorporated into mobile app development as a rule instead of a special feature. Companies are also becoming more selective with permissions as customers push back against intrusive apps. If you are looking to tackle the rising challenge of security threats, you may want to read Balancing Speed and Security in Software Development. Intelligent apps, or those that use AI/ML to power special features, are one of Gartner’s Top 10 Strategic Technology trends for 2017. AI is making its way into every corner of the mobile market, from personalizing customer service to detecting fraudulent activity. Starbucks has even announced an app that will translate verbal orders into an actual order placed at the user’s selected store. Add that to the growing integration of personal assistant apps like Alexa and it’s easy to see why AI is a trend to watch. 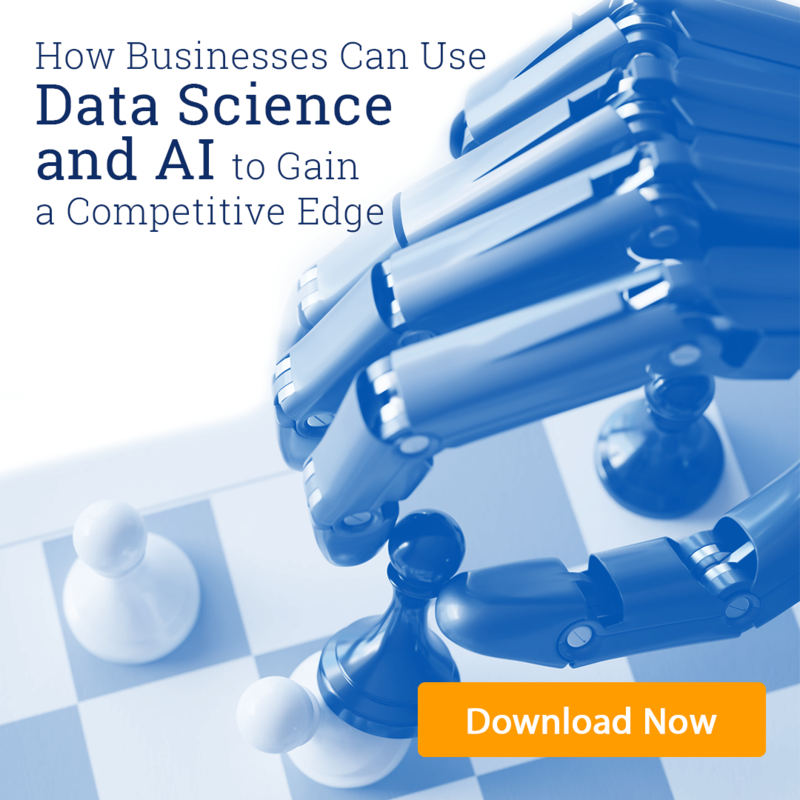 If you want to learn more about AI and how it can affect your business, download our new white paper: How Businesses Can Use Data Science and AI to Gain a Competitive Advantage. AR has been quietly improving since it was first used in the 90s to train Air Force pilots. Back then it required a bulky backpack and goggles, but now smartphones are pushing augmented reality into the public eye. While most consider it to be a gaming technology, AR is increasingly relevant in e-commerce. IKEA uses it to allow customers to visualize how furniture will fit in their homes, and apps like FaceCake helps users choose makeup shades online. Whether it’s an enterprise app or one meant to capture the public’s eye, user engagement is key. 24% of apps are only used once in the first six months, but it takes 30 days to build a habit. Incorporating one or more of these trends into your app can provide the value needed to make it part of your user’s daily habit. Want to know more trends happening in this industry? Check out 2017’s list for best software development trends and best web development trends. Are you having trouble retaining users? Contact Concepta to discuss how these trends can boost your app’s usage rates!